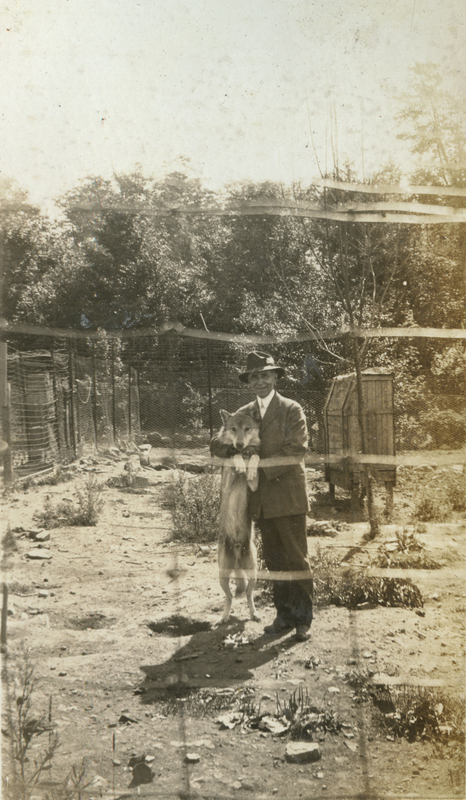 This photograph depicts Dr. McCleery in a pen with one of his wolves at Dr. McCleery's lobo wolf park, located within the town limits of Kane, PA. (I think this wolf looks like Jerry, judging by another labeled photo of Jerry.) 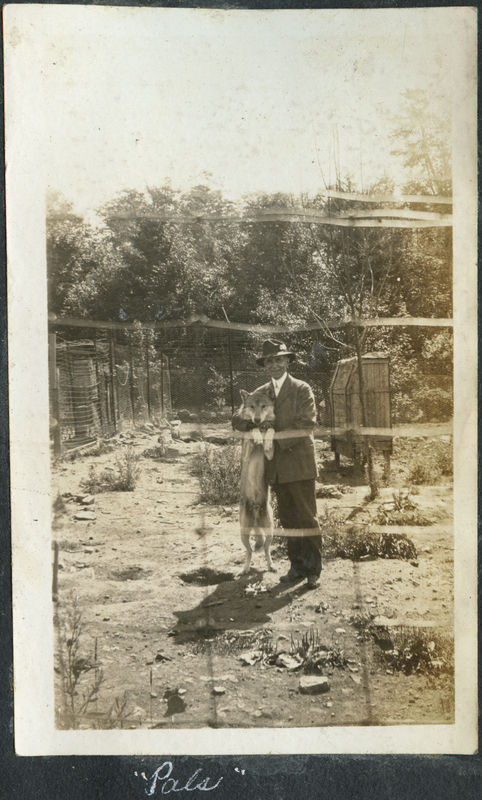 This photograph is included in the photo album of Margaret R. Jones and is captioned "Pals." 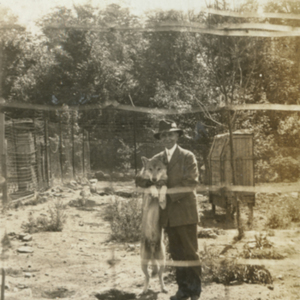 This photograph was taken between 1921 (when Dr. McCleery obtained his first wolf) and 1924 (when the photo album was presented to Margaret R. Jones). 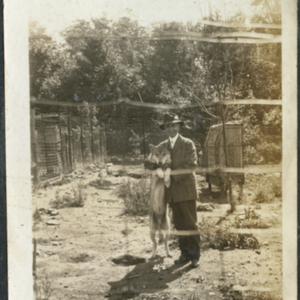 This item was generously contributed by the Lorenzo family.